Lakeshore Records proudly proclaims the release of COMRADE DETECTIVE– Original Series Soundtrack on September 28, 2018 on Digital The Album features original music by action Composer Joe Kraemer (MISSION: IMPOSSIBLE – ROGUE NATION, JACK REACHER). COMRADE DETECTIVE is fictional gritty 1980's Cold War Romanian police procedural steeped in Communist propaganda. Detectives Gregor Anghel (Channing Tatum dubbed for Romanian actor Florin Persic Jr) and Iosif Baciu (Joseph Gordon-Levitt dubbed for Corneliu Ulici) investigate murder of a fellow comrade in this action-packed and blood-soaked first season. Under the iron fist of Captain Covaci (Nick Offerman dubbed for Adrian Paduraru), the pair of red sleuths must unravel a counter-revolutionary plot against the Romanian state by what-else-but the greatest enemy: Capitalism. 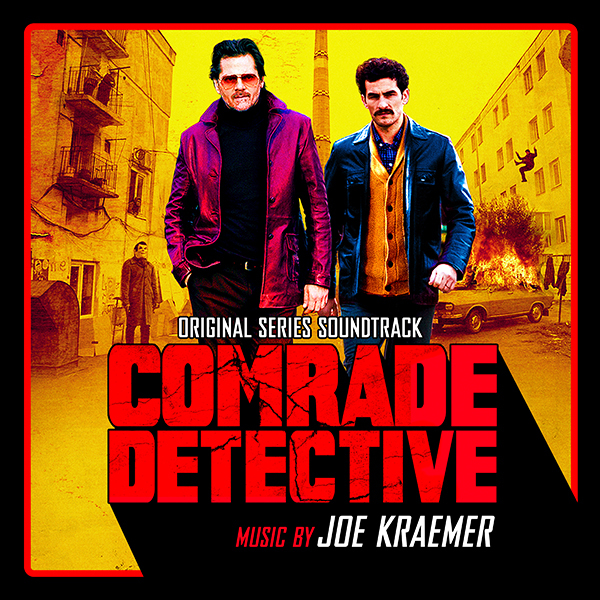 Composer Joe Kraemer offers the following statement about the special dynamic of the show, “In the same way actors revel in being able to speak as different people, I had a lot of fun pretending I was a Romanian composer living in the early 1980s writing pseudo-American cop-show music for the communist government. The director, Rhys Thomas, and the producers at A24 and Channing Tatum’s Free Association, gave me tremendous freedom to chase after that evocative sound of early ‘80s TV. I was delighted to be able to record the score in Vienna, and to be able to work with my friend, Dimitrie Leivici, as concertmaster, who is Romanian by birth! He actually lived in some of the locations where the show took place when he was child. It was also terrific to be reunited with the immensely talented engineer Casey Stone, who captured the sound so effectively and mixed the music so perfectly, just as he did for me on 'Rogue Nation' in 2015. It’s immensely gratifying to be able to share the music with everyone now, thanks to the two upcoming releases from Lakeshore Records. The first is an LP, and vinyl is really cool, as the ‘retro’ vibe of the format meshes perfectly with the feel of the show. The second, digital download format allows me to include a lot more of the score itself, which I am really happy to have available for listeners who have asked me about being able to hear it away from the show.